UPDATE: a hoax? HOLY SMOKE! The man with the hat is back in stores? UPDATE 7/27/2009: It seems that these are just an elaborate hoax! I am trying to get more details right now, but all signs point to these being faked. I’m sad, but I love a good hoax! I can hopefully get some more details in the days to follow. Stay tuned! 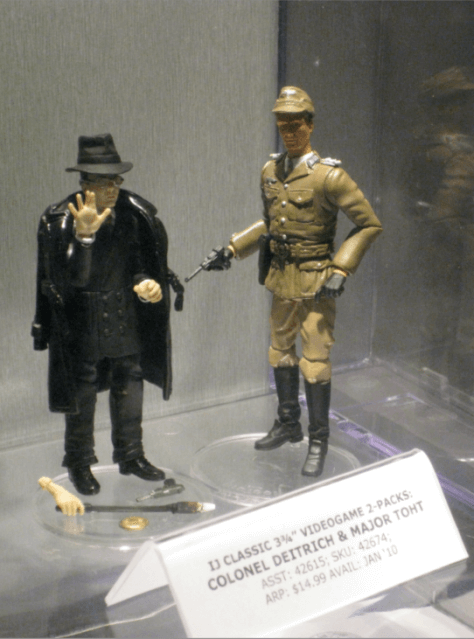 So it seems that new Indiana Jones action figures may be making another appearance at retail! These photos have surfaced from Comic Con 2009, and I am dying to know more information! 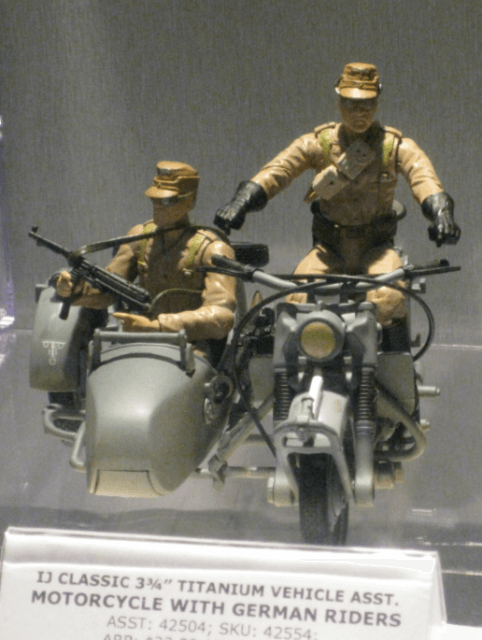 From these pictures, we see Toht (with melted head), Col. Deitrich, the Ark Ghost, a regular Toht, and a 2-pack of German soldiers with the motorcycle and sidecar. 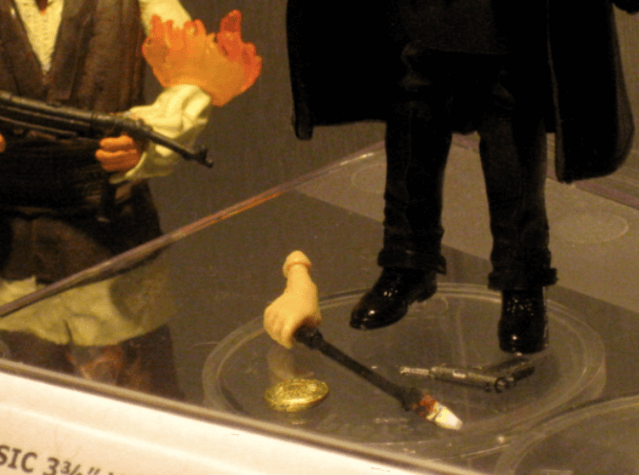 Strangely there is no Indiana Jones figure himself, and there appears to be an arm (the one on fire) of one of the Nepal thugs from Raiders of the Lost Ark. Anybody have any more intel? These are Hasbro, right? 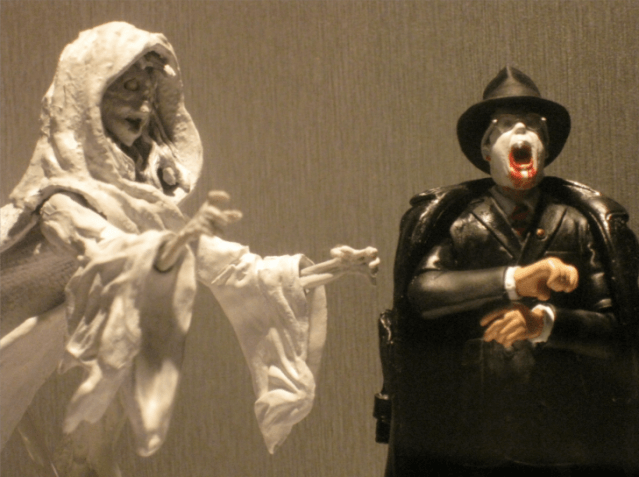 Will we get the Temple of Doom figures repacked? What about the wave shown at SDCC last year? What are the videogame packs? What else is in store (no pun intended) for us Indyfans? 3 More pics after the cut of these surprise figures and vehicle!